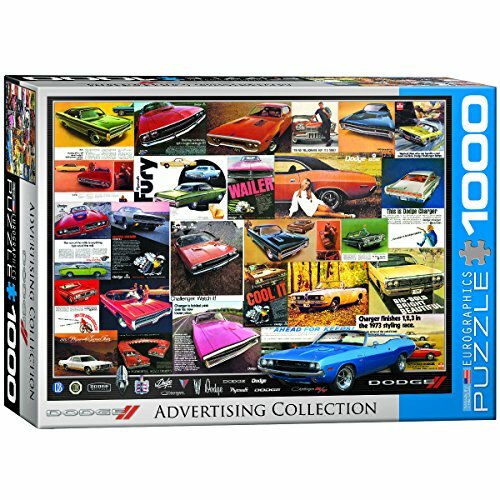 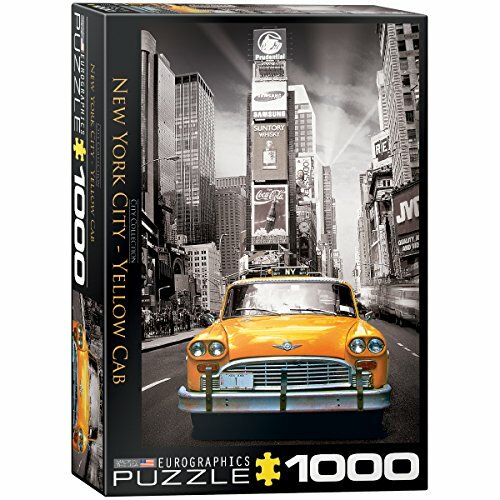 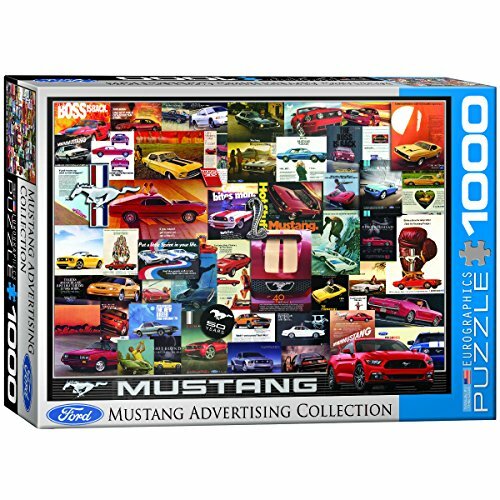 Are you looking for jigsaw puzzles of old cars? 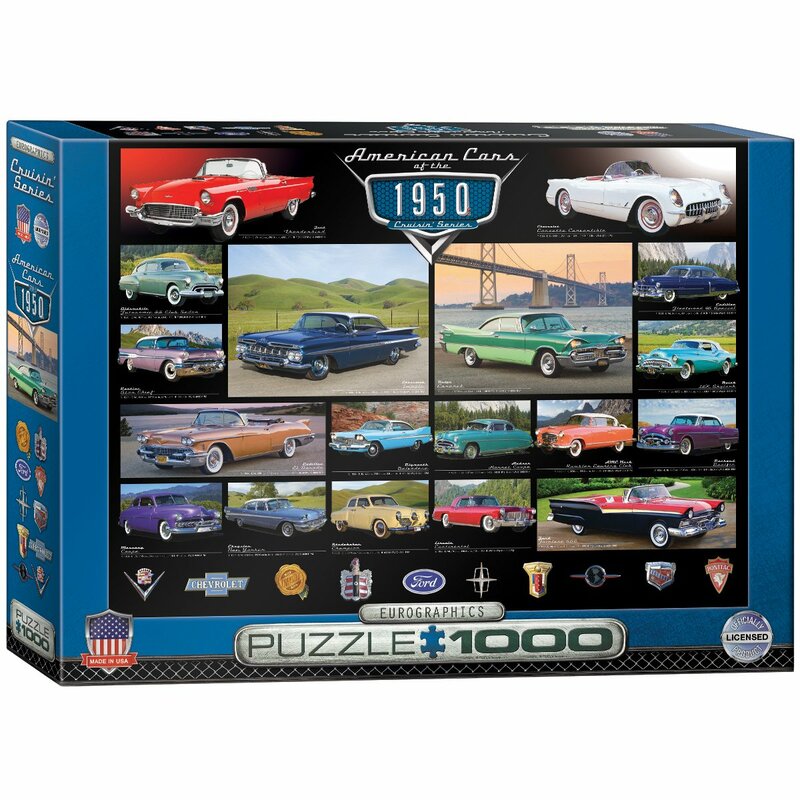 On this page you’ll find plenty of vintage car jigsaw puzzles fans. 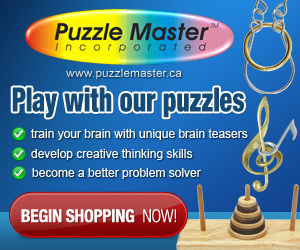 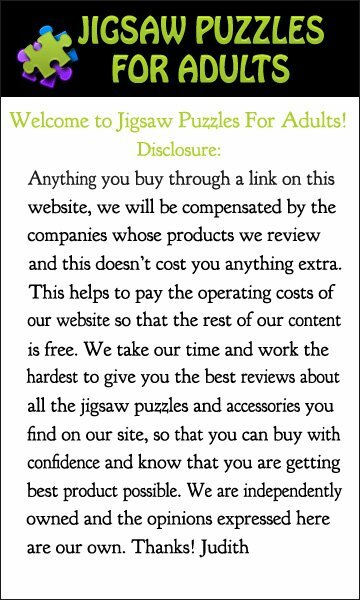 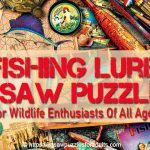 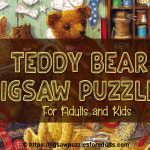 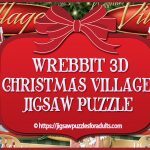 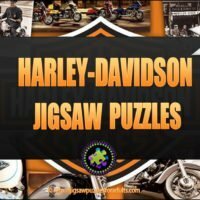 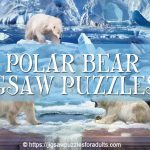 Jigsaw Puzzle Boards – A Must Have For Puzzlers! 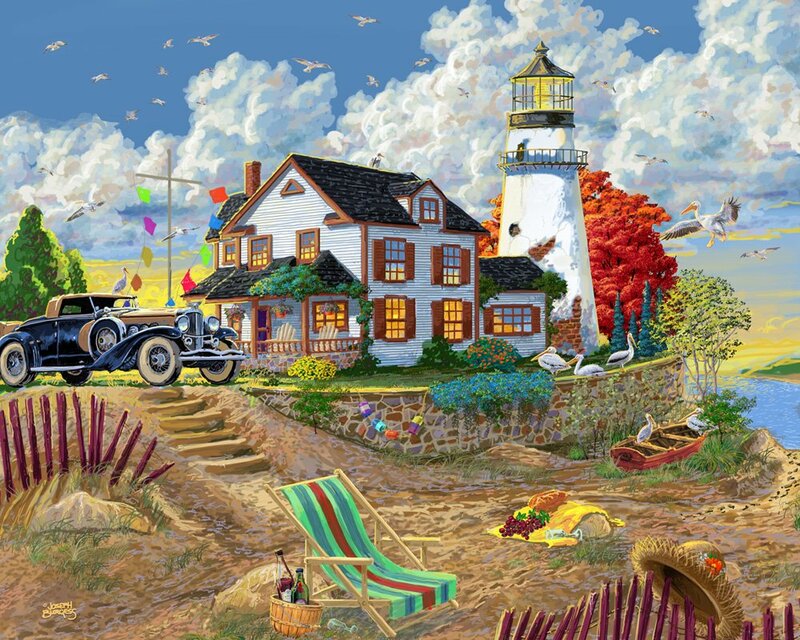 This Lighthouse Visitor 1000 piece puzzle from Vermont Christmas Company measures 30 inches by 24 inches when completed. 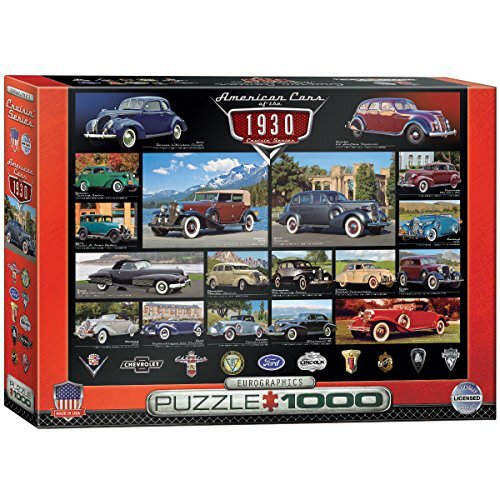 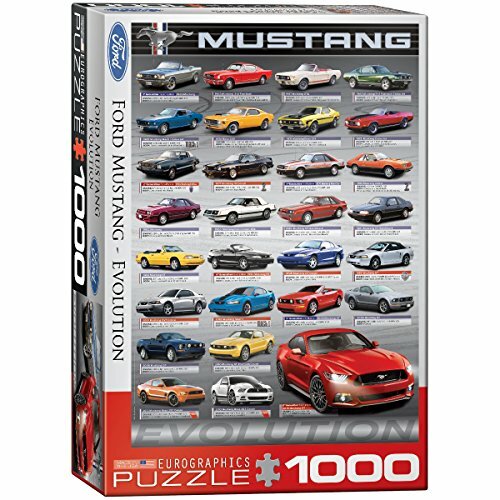 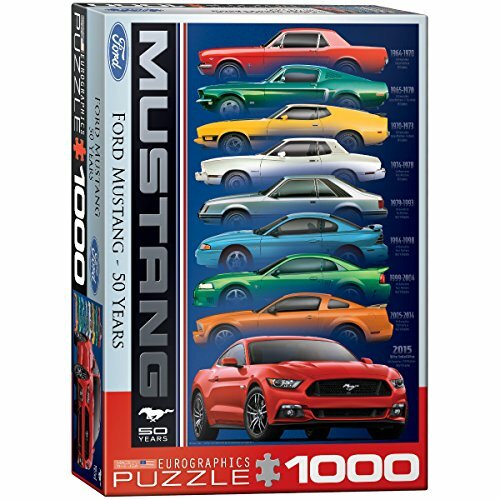 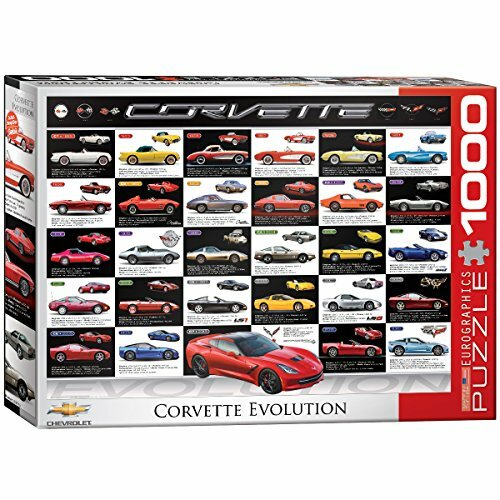 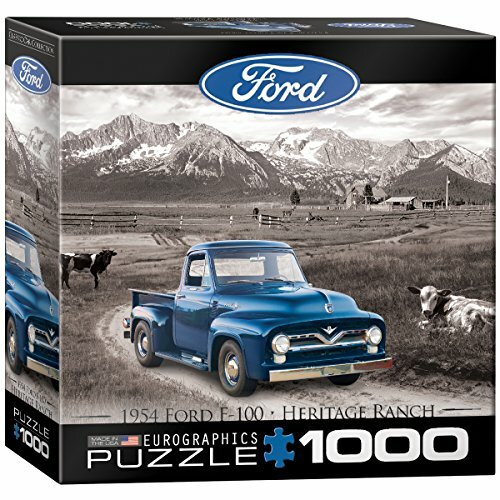 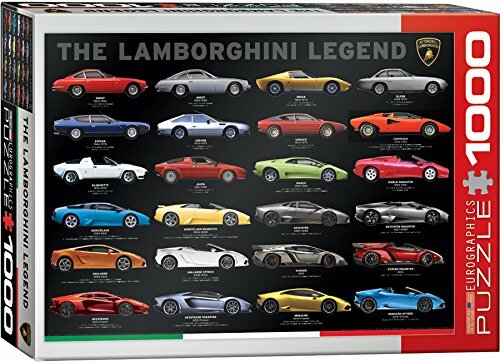 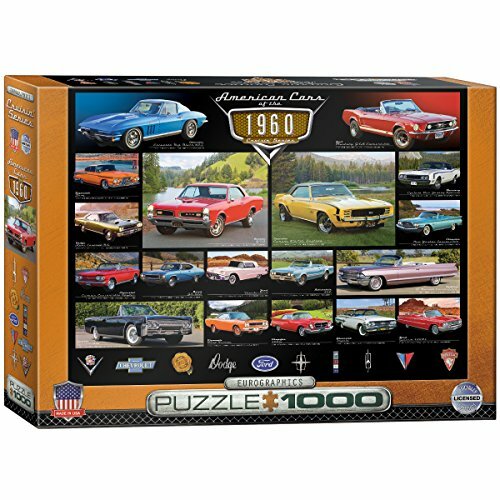 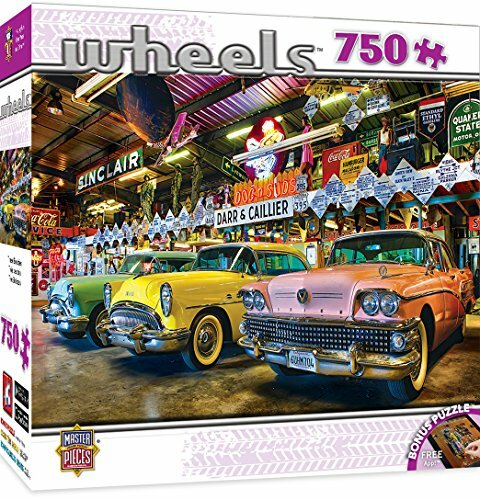 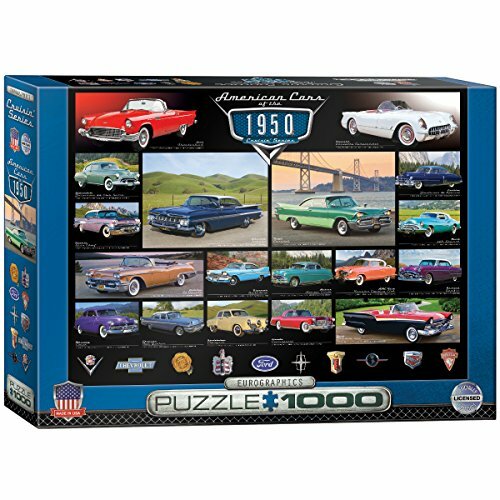 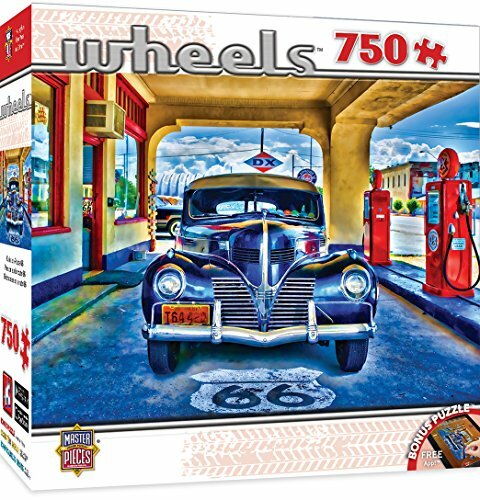 This Jigsaw puzzle of Old Cars has fully interlocking and randomly shaped pieces that will make for a great puzzle building experience. 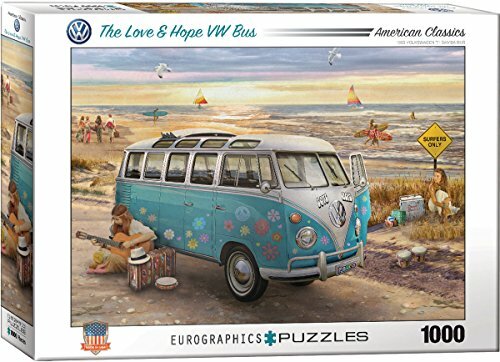 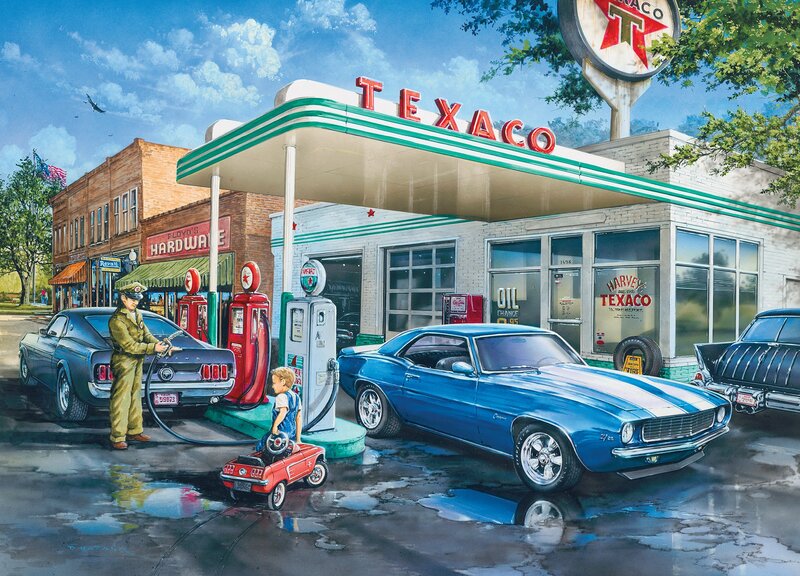 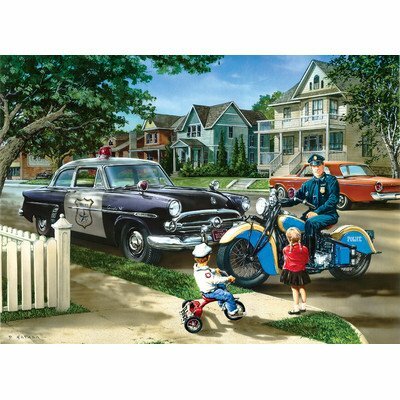 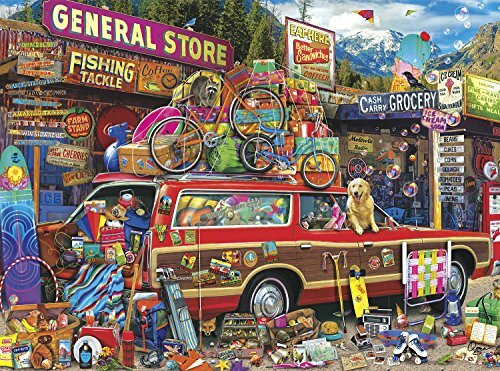 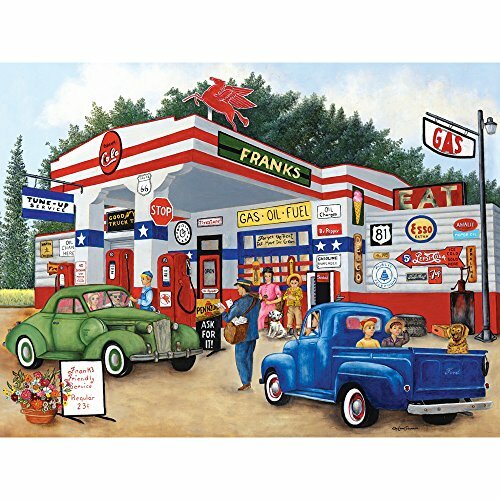 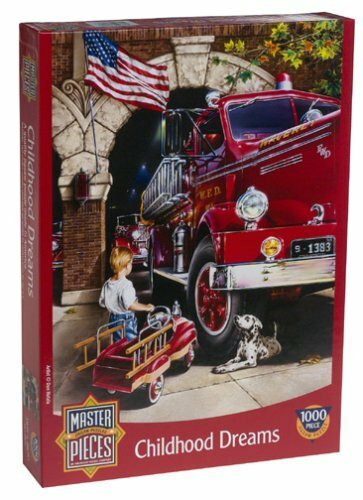 This Father & son getting gas jigsaw puzzle by MasterPieces Puzzle Company comes from the childhood dreams series and is made up of 1000 pieces and measures 19.25 inches by 26.75 inches when finished. 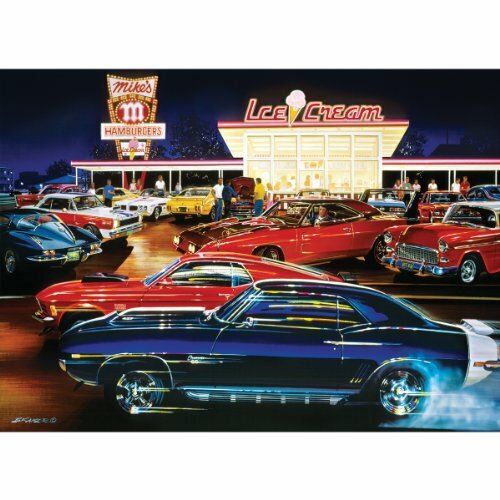 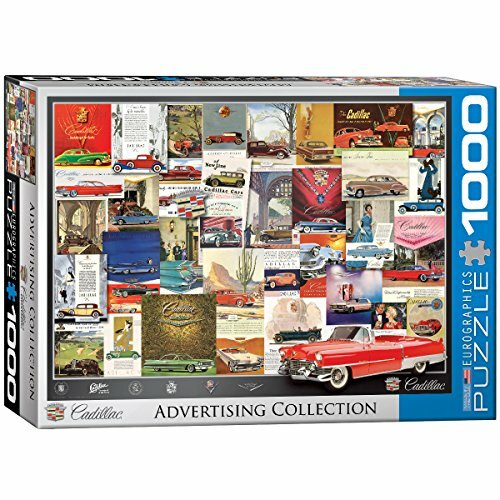 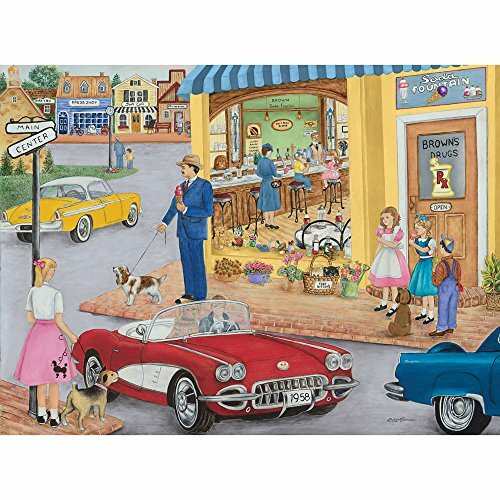 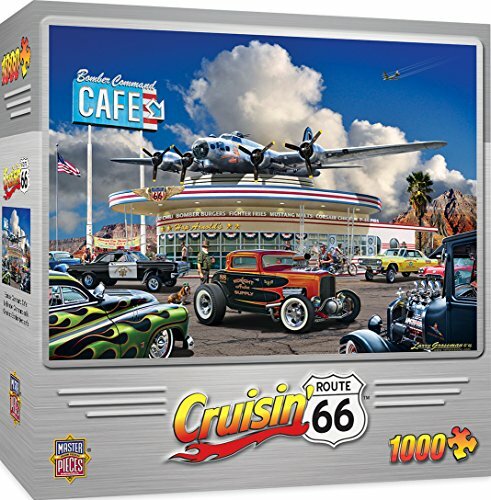 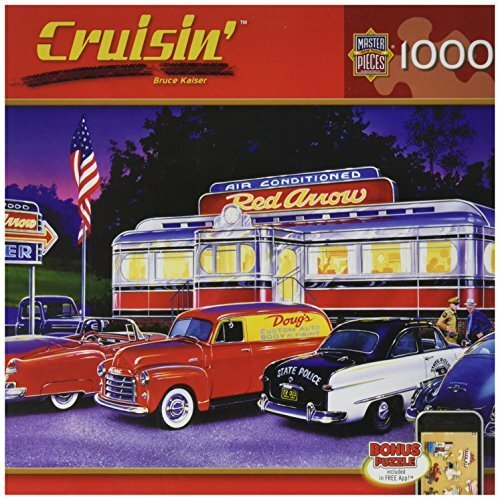 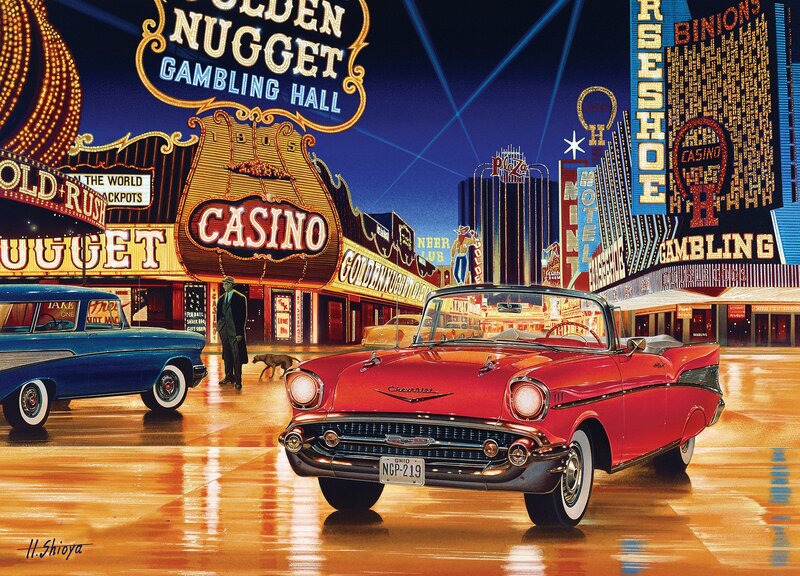 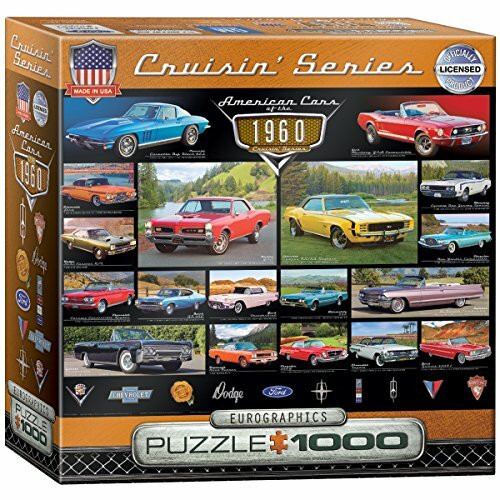 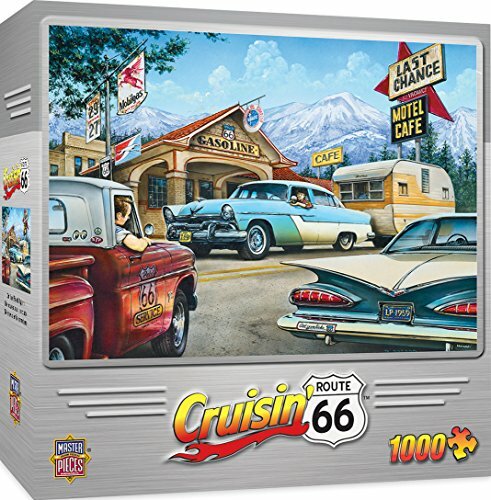 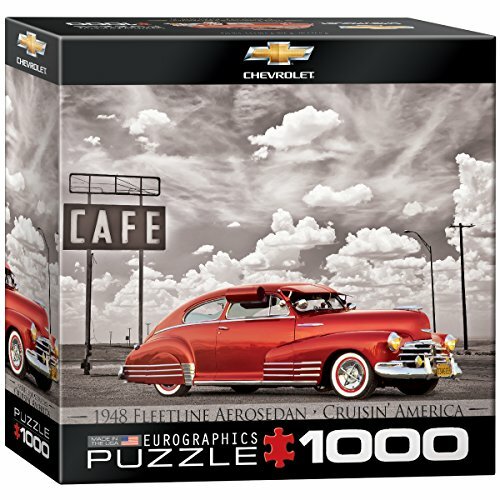 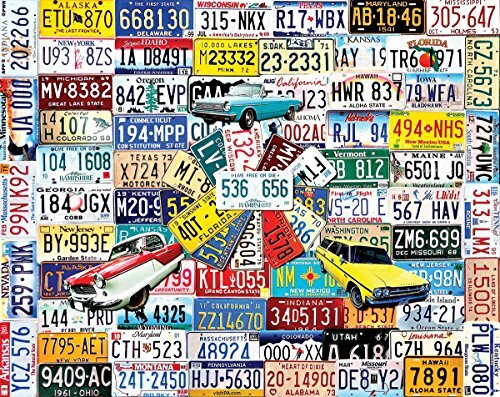 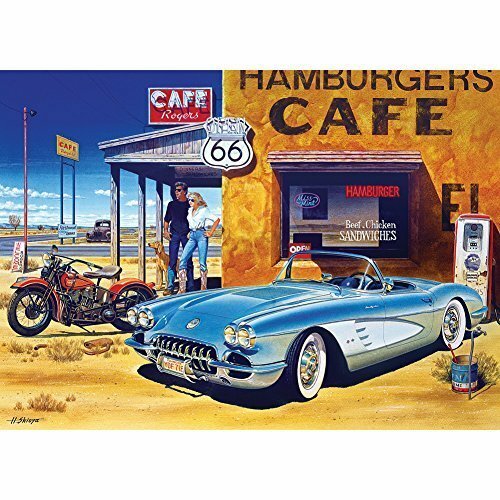 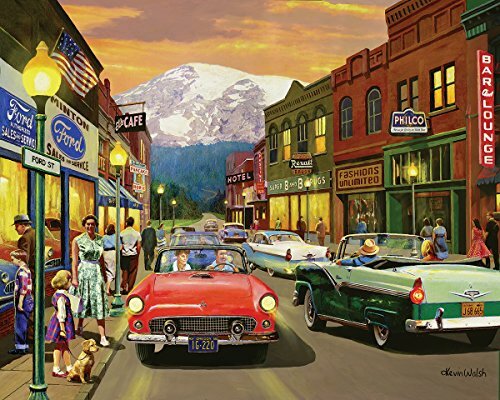 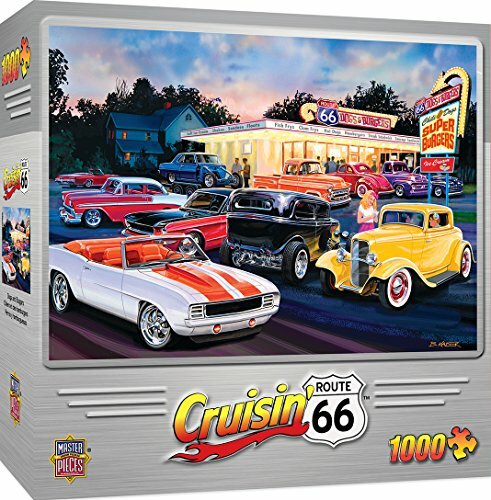 This Gamblin Man Chevy Convertible puzzle is from the Masterpieces Crusin Route 66 Collection. 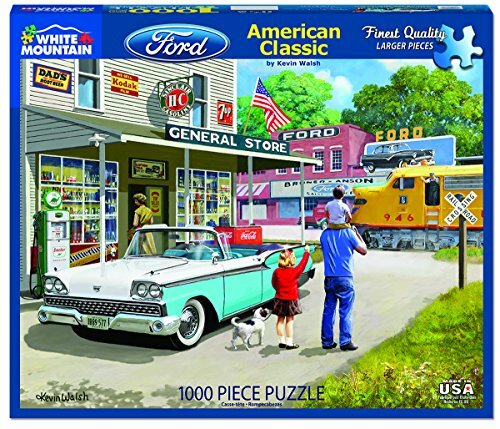 It is made up of 1000 pieces and when finished it measures 19.25 inches by 26.75 inches. 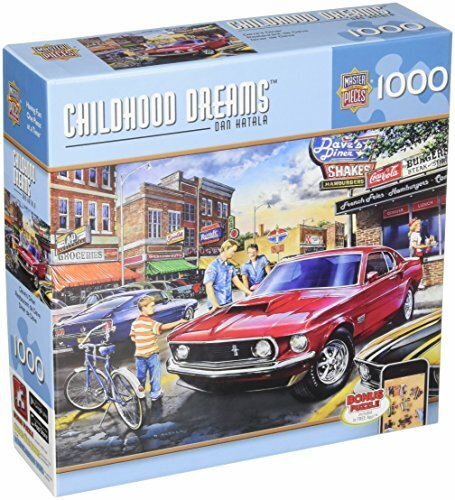 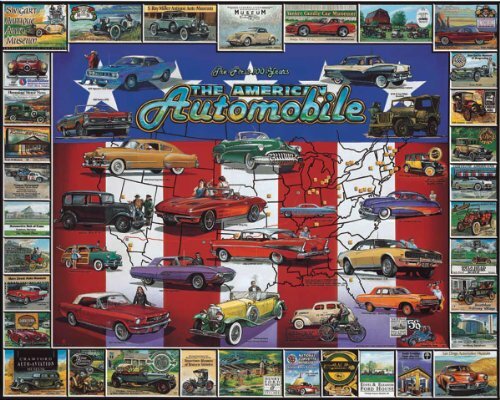 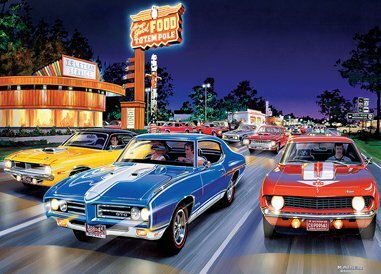 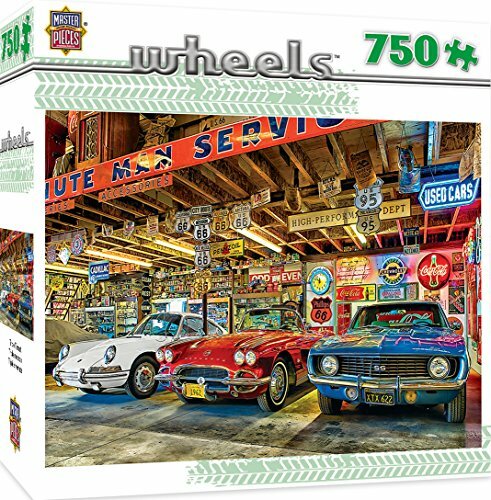 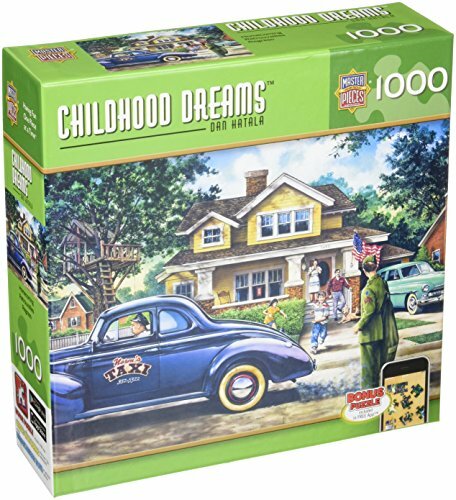 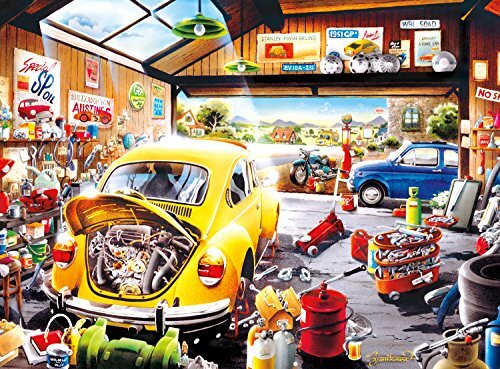 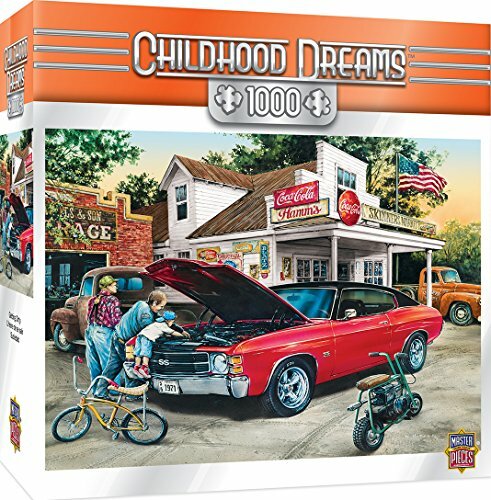 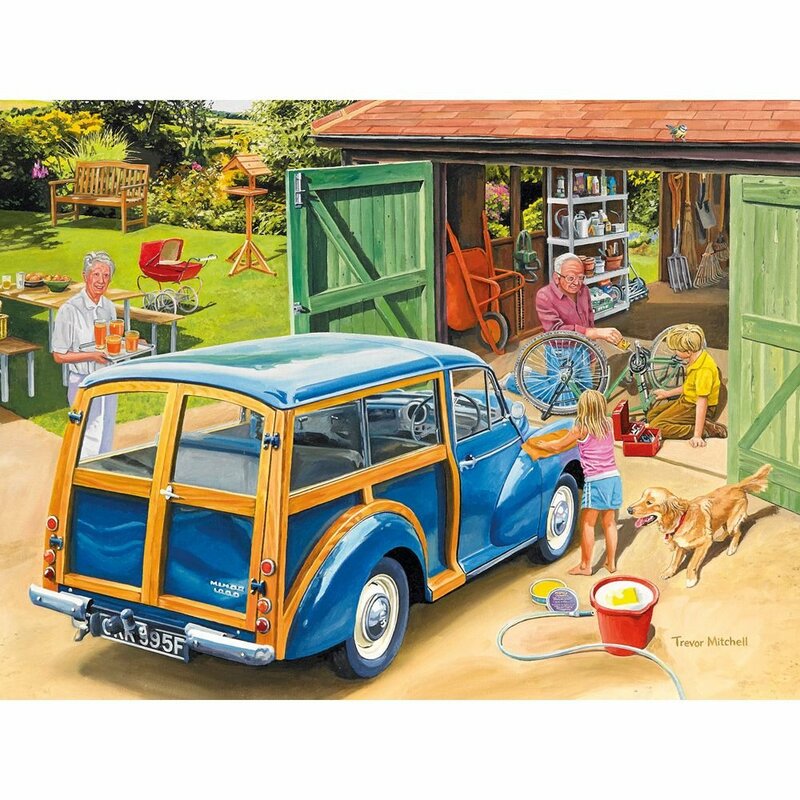 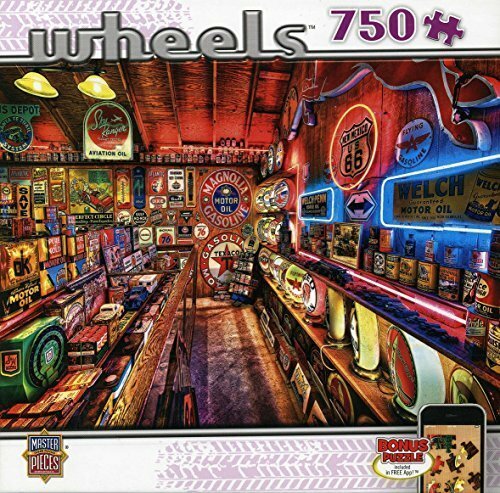 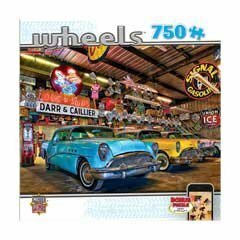 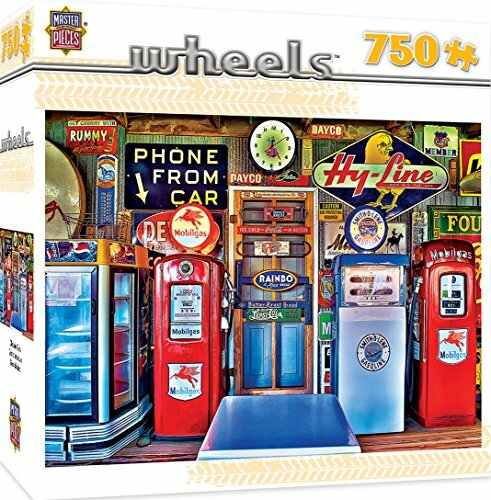 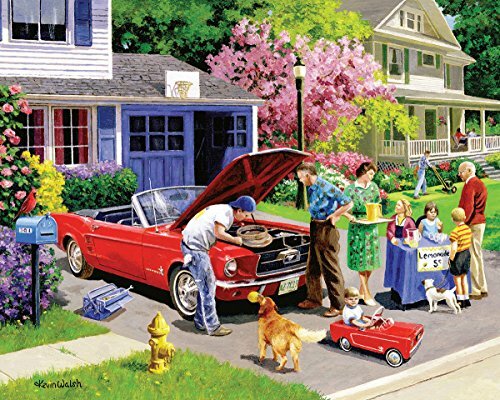 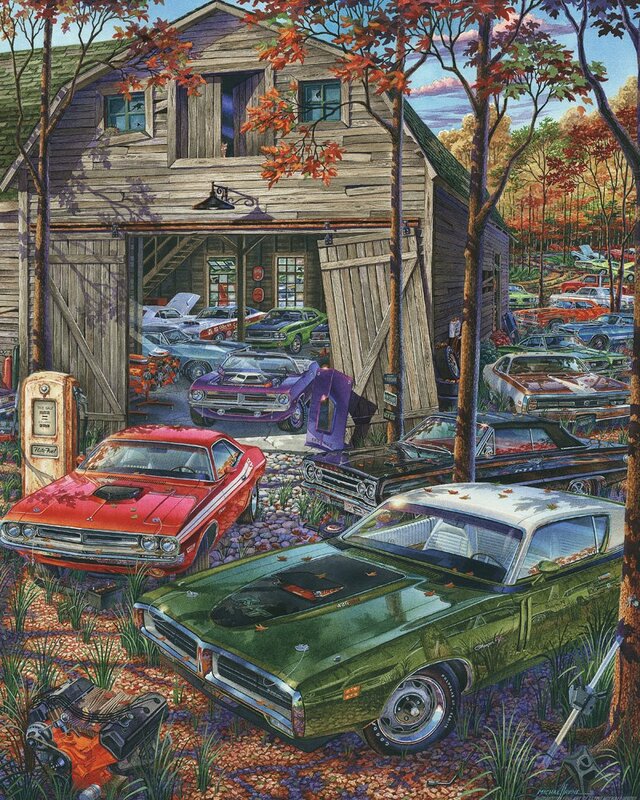 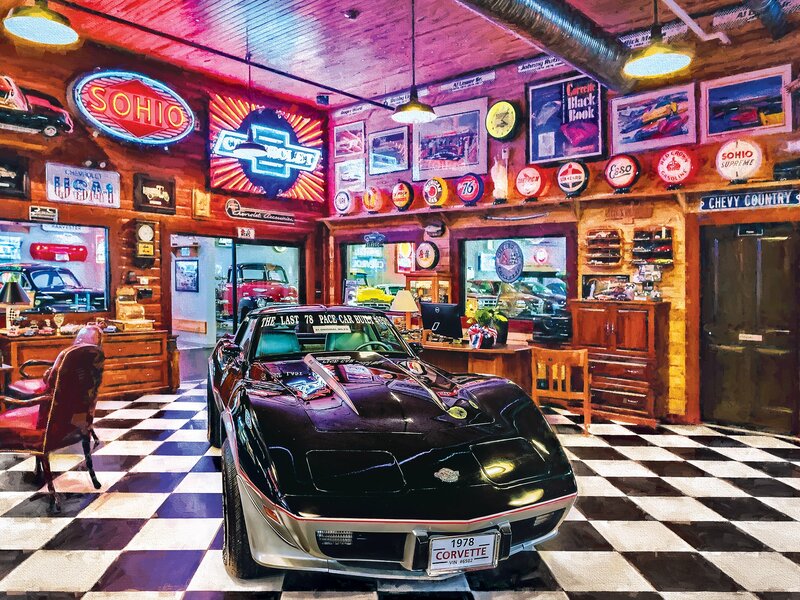 This Retro Garage 500 piece jigsaw puzzle is from the Days To Remember Buffalo Games Collection. 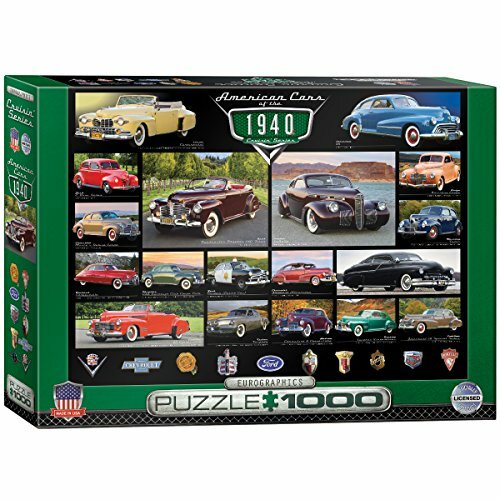 The puzzle measures 21.5 inches by 15 inches when complete. 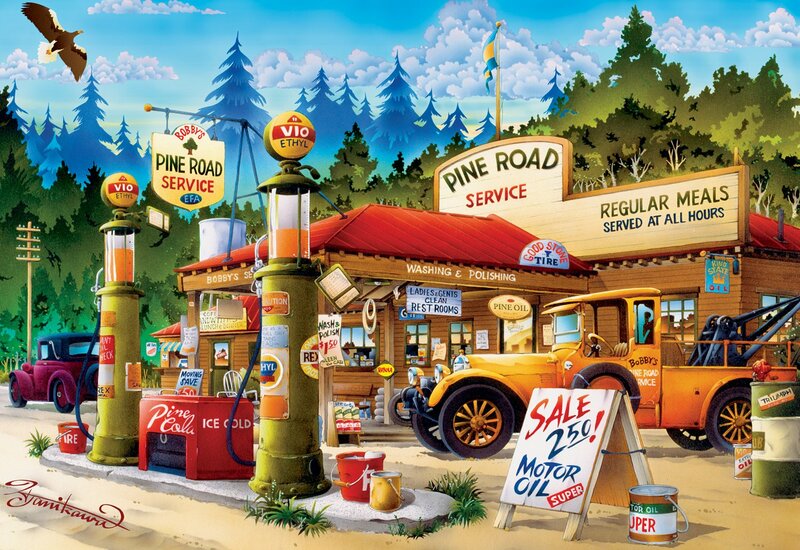 This Buffalo Games Cartoon World “Pine Road Service” is 1000 piece jigsaw and measures 26.75 inches by 19.75 inches when finished. 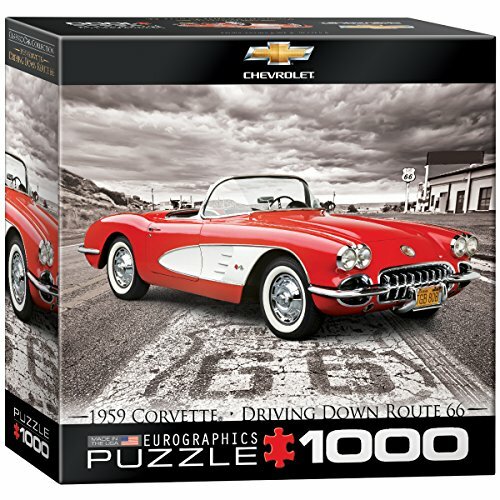 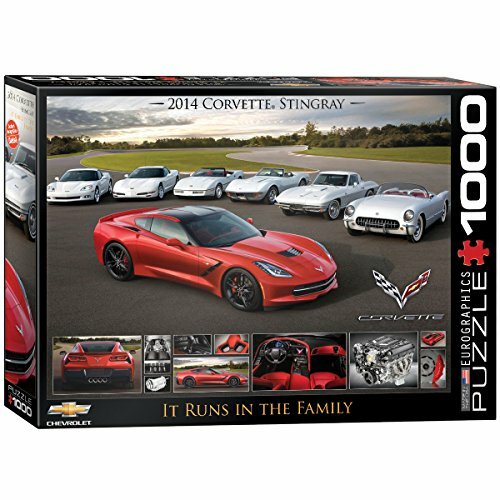 This Black Corvette puzzle is made up of 750 pieces and measures 18 inches by 24 inches when finished. 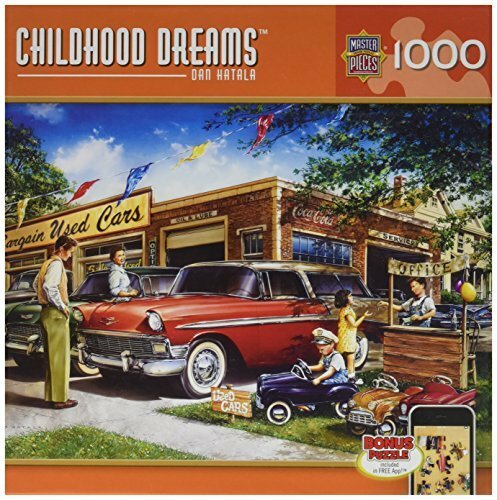 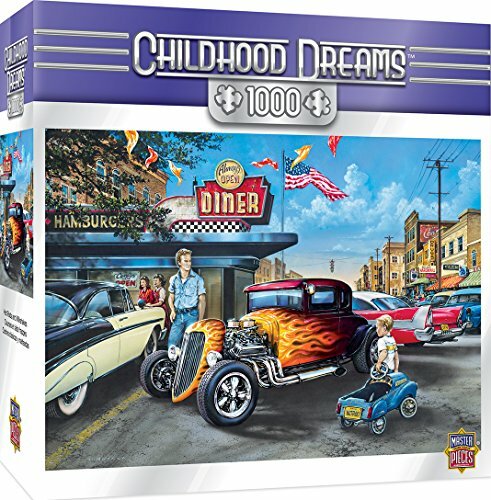 Bits and Pieces has a couple of great jigsaw puzzles of old cars and family life. 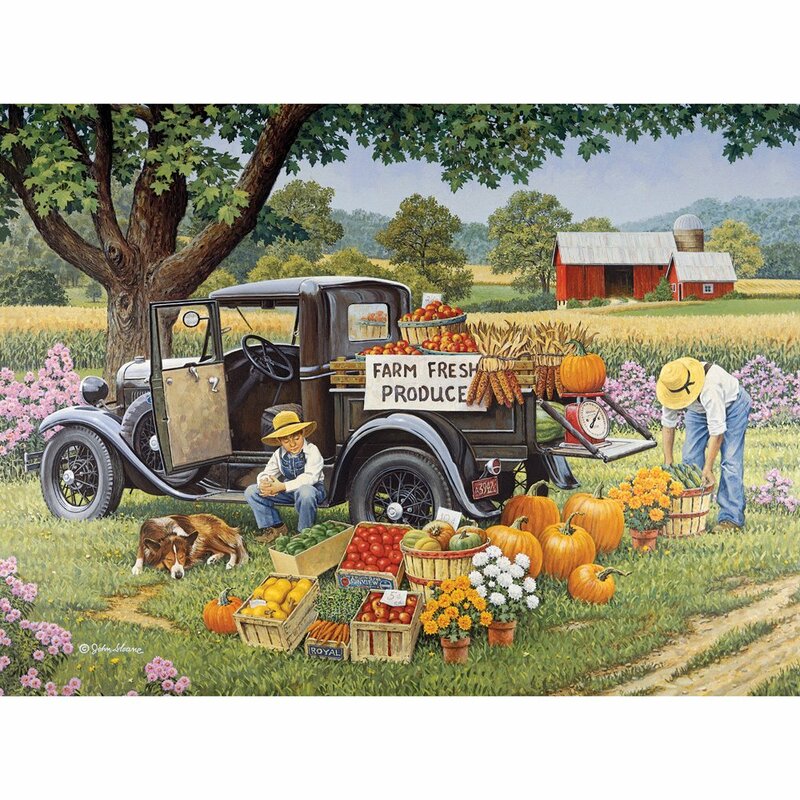 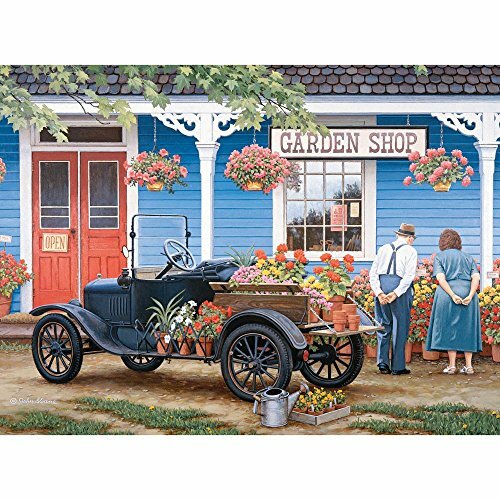 Home Grown is a 1000 piece puzzle by artist John Sloane that measures 20 inches by 27 inches when finished. 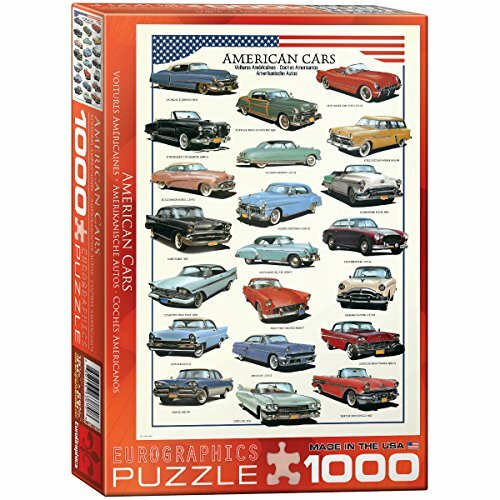 Washing Grandpa’s car is a 1000 piece jigsaw puzzle of old cars designed by Trevor Mitchell. 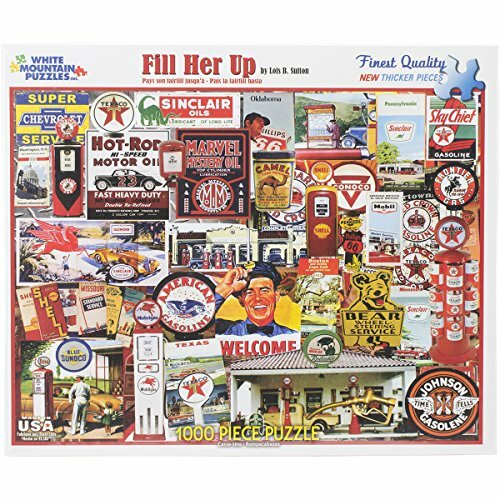 This puzzle measures 20 inches by 27 inches when finished. 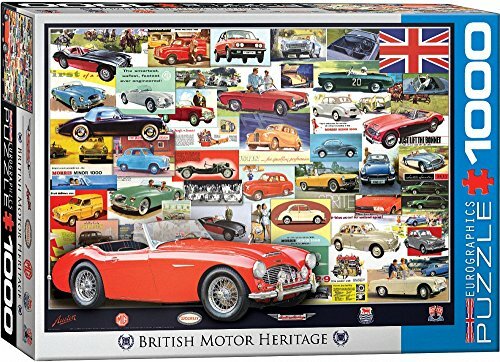 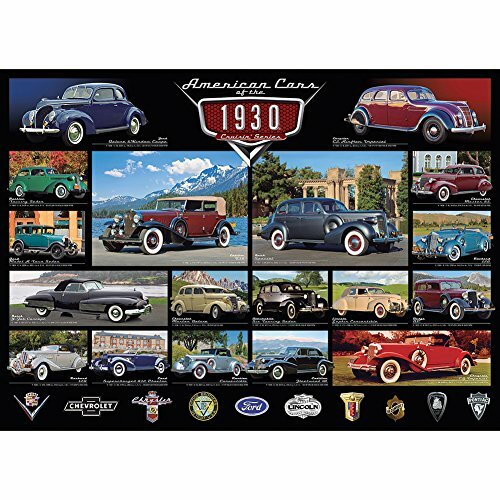 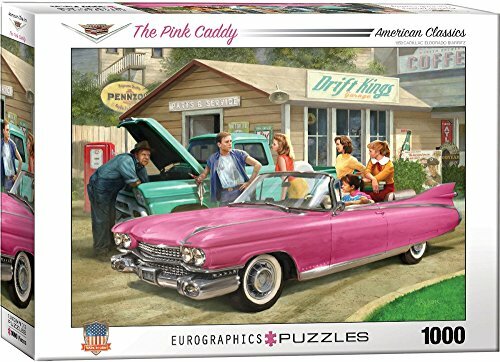 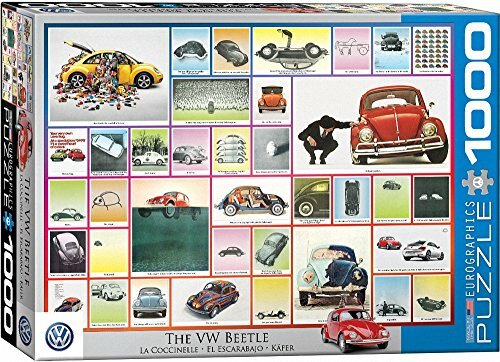 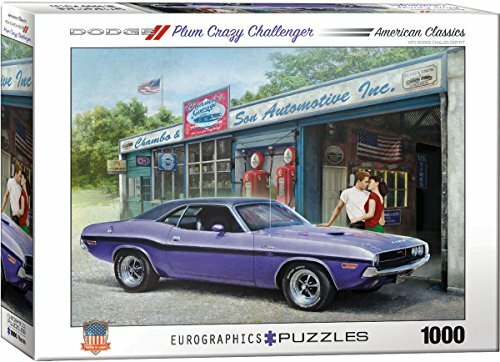 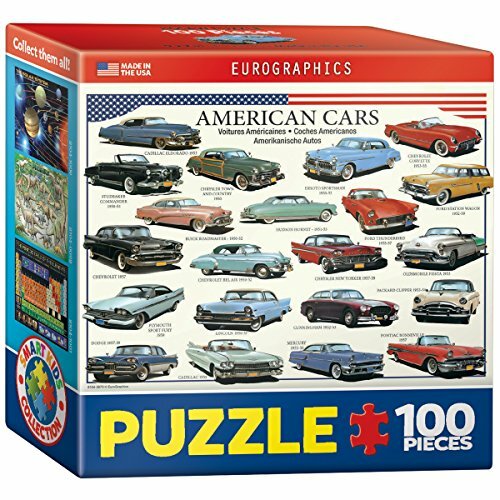 If you are a old car buff you’ll appreciate the fantastic selection of vintage car jigsaw puzzles that Eurographics has come up with. 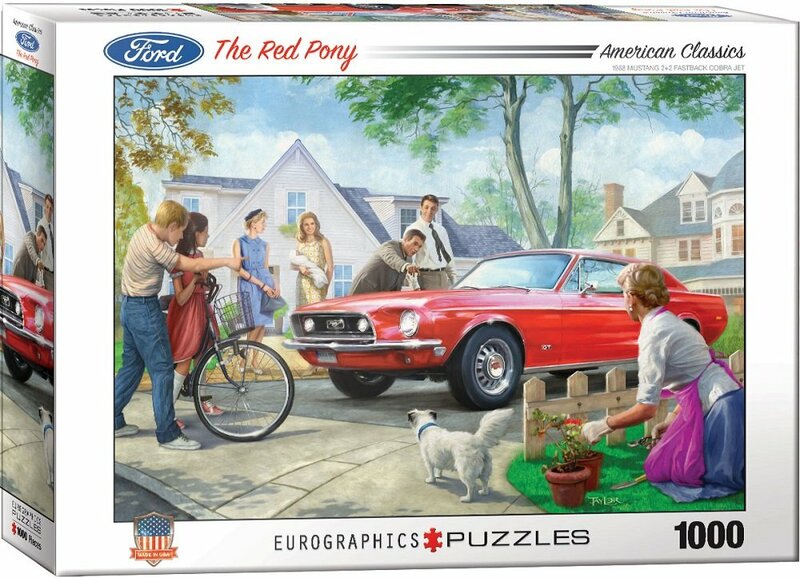 The Red Pony by artist Nestor Taylor is a thousand piece Eurographics puzzle that measures 19.25 inches by 26.50 inches when completed. 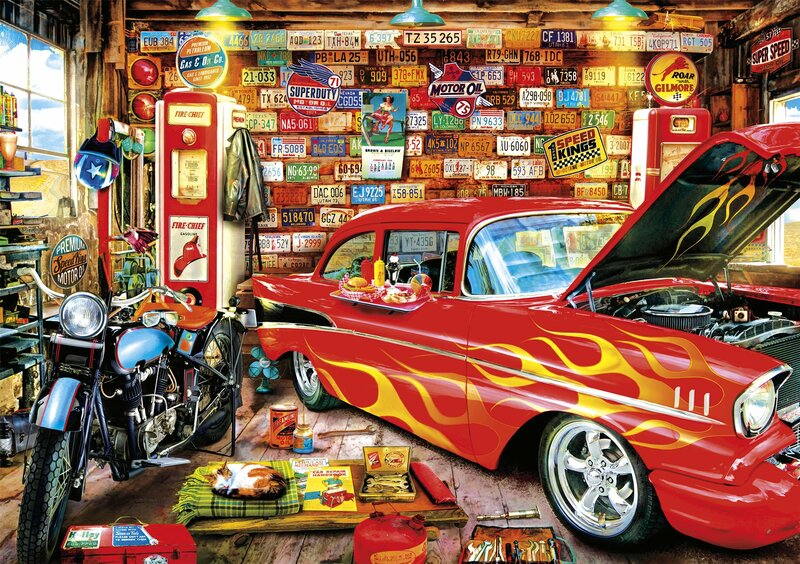 Even our favorite old cars find their resting place. 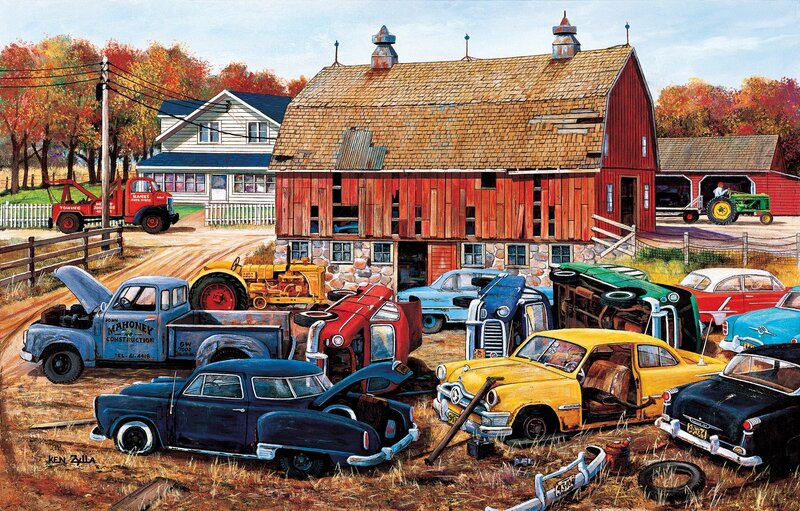 This Cars On the Farm puzzle by Vermont Christmas Company from the artwork of Michael Irvine has 1000 pieces and measures 24 inches By 30 inches when finished. 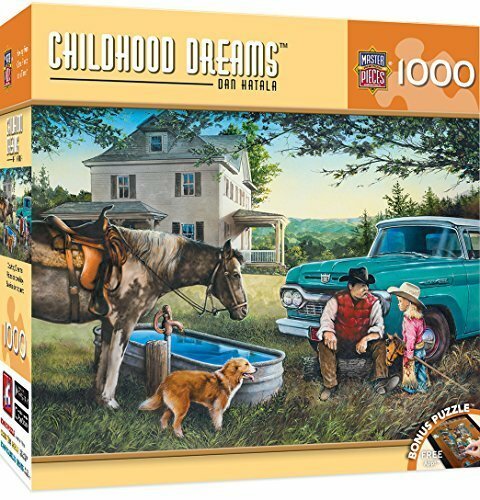 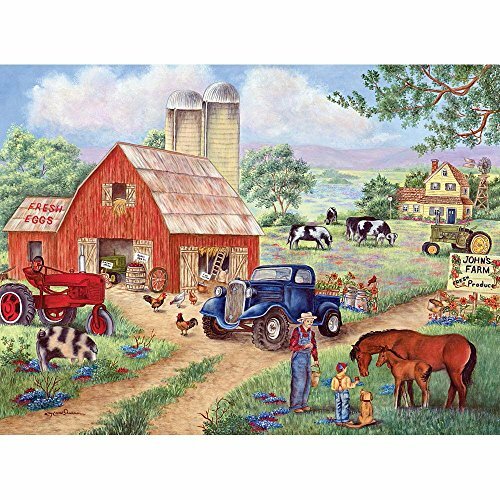 This SunsOut 1000 piece Barnyard Gems jigsaw puzzle of old cars measures 19 inches by 30 inches when completed. 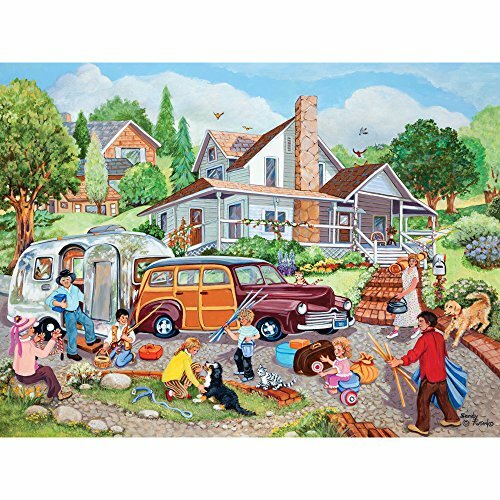 This 750 piece panoramic jigsaw puzzle that measures 36 inches by 12 inches when finished has a bit of a twist. 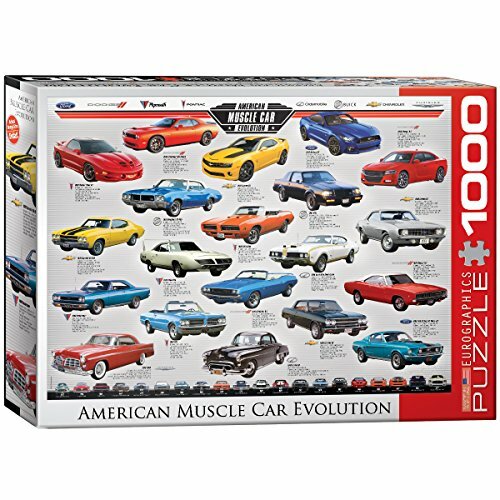 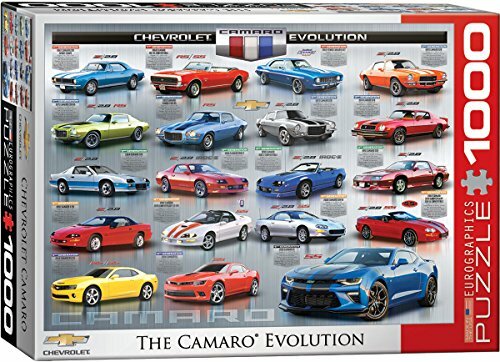 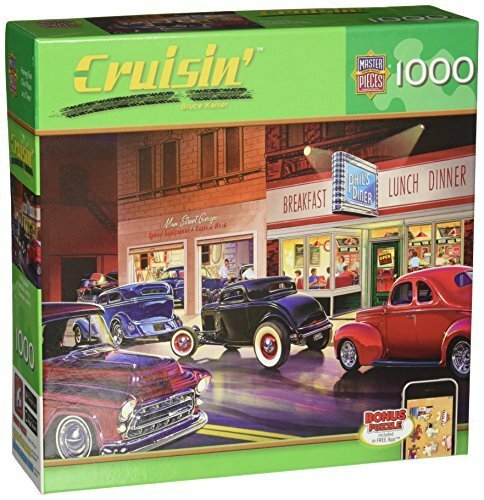 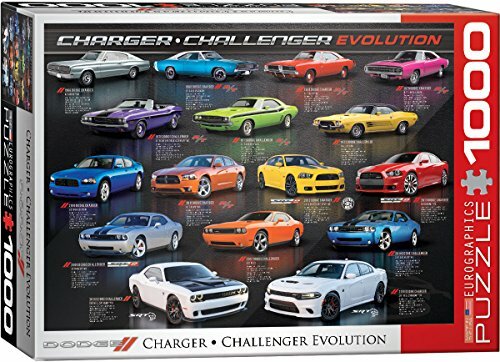 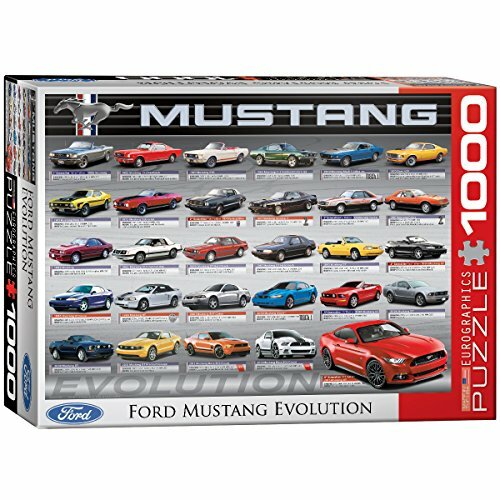 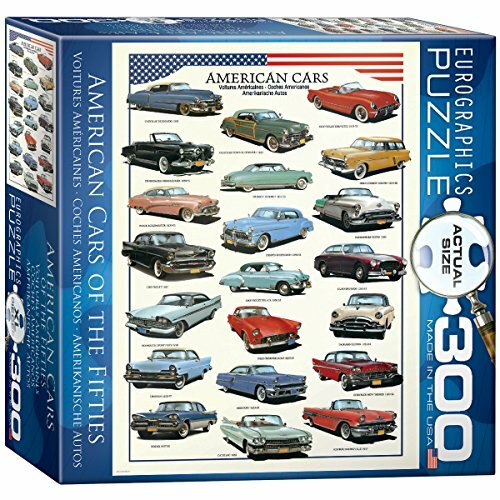 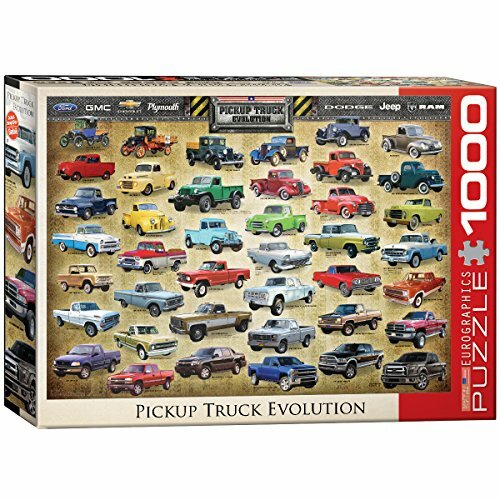 The Roadside Americana jigsaw puzzle of old cars ON the box is more than a bit different from the puzzle Inside the box! 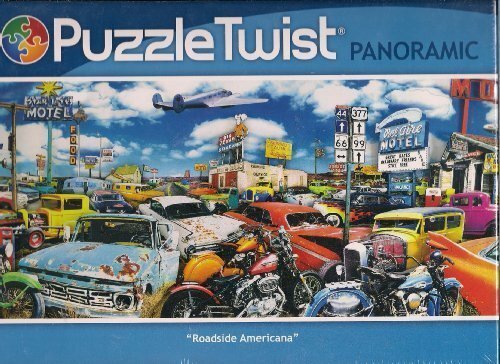 This panoramic puzzle has Hidden Images and piece by piece, something surprising awaits as your puzzle is revealed. 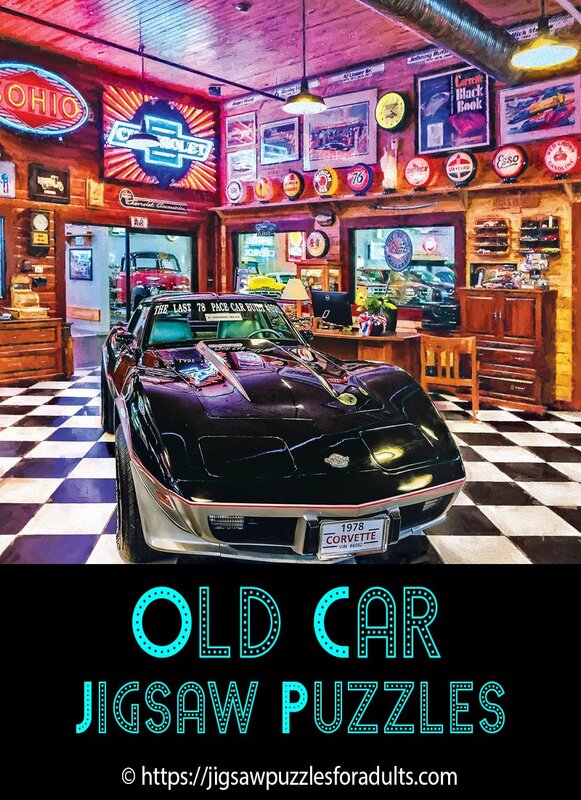 This jigsaw puzzle of old cars is a bit more challenging but a ton more fun! 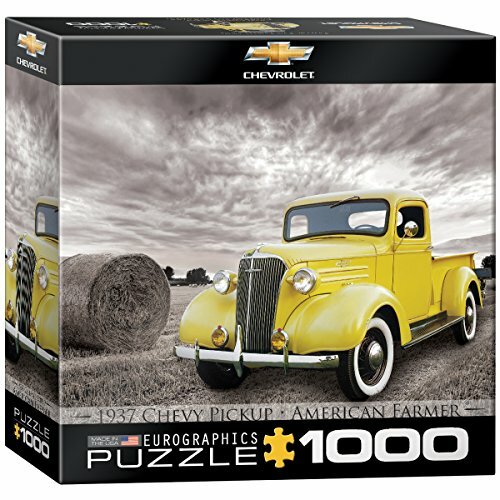 I hope that you found a few Jigsaw Puzzles Of Old Cars to work on or give away as gifts. 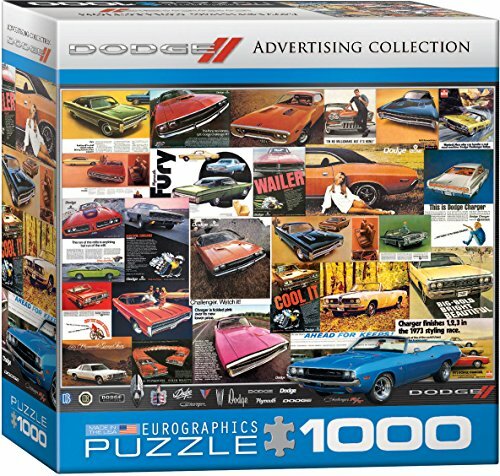 These Jigsaw Puzzles Of Old Cars will certainly give you hours of enjoyment . 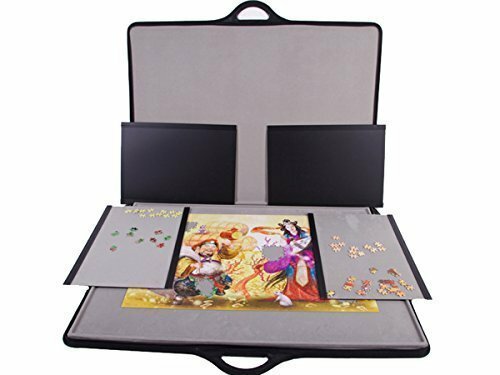 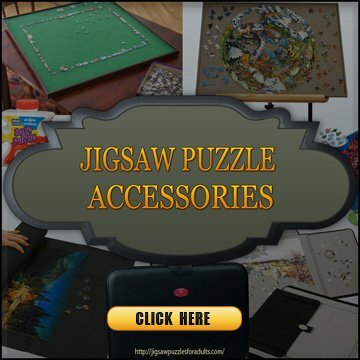 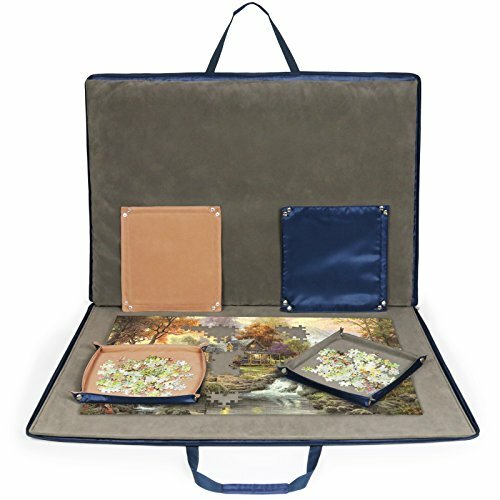 These Jigsaw Puzzle boards / cases are a must have for jigsaw puzzlers! 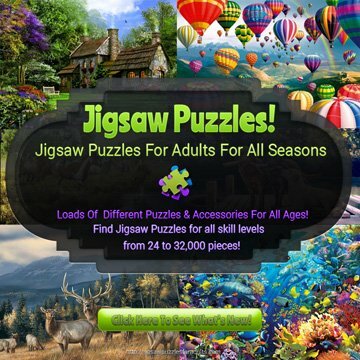 If you LOVE Working on Jigsaw Puzzles, you will love these jigsaw puzzle boards. 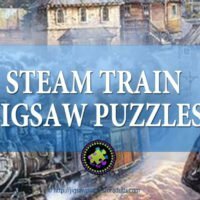 Making Jigsaw Puzzling A Whole Lot More Fun!